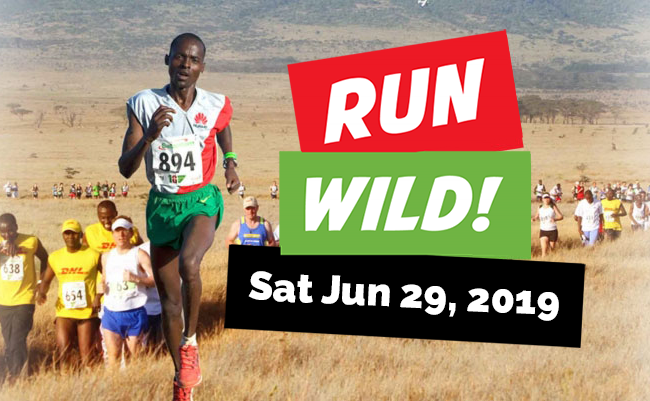 Since 2000, this inspiring event has raised over £5 million for education, healthcare, development and wildlife projects across Kenya. 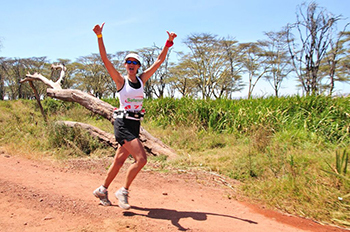 Every year, Safaricom Marathon funds bring proven and lasting benefits to communities and wildlife across Kenya. Come and see for yourself! Tusk and Lewa Conservancy share a common goal to promote wildlife conservation as a catalyst to support the land, its culture and its people. Alongside Lewa’s incredible wildlife, you will visit water projects and schools directly funded by the event. Lasting conservation starts with people and you will see the difference your fundraising can make. One of Tusk’s major partners since 1990, Lewa Wildlife Conservancy is renowned worldwide for innovative and highly successful community-led conservation. Lewa’s pioneering work helped recover Kenya’s black rhino population from the brink of extinction and protects 11% of the world’s critically endangered Grevy’s zebra. The Lewa Education Programme currently supports 21 primary and secondary schools and over 7,000 children. The community development programme provides water for drinking and irrigation. Crucially, it also supports agriculture, healthcare and road infrastructure. Funds from this event support more than a dozen other projects in Kenya, working with local communities to protect endangered species from the mountain bongo to many turtle species. 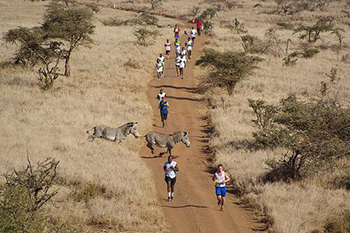 The Safaricom Marathon is unique. 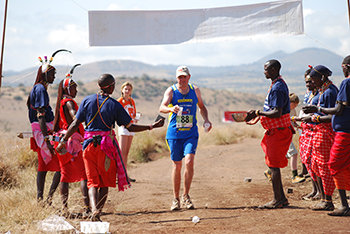 Established and organised every year by Tusk as the charity’s own flagship event, runners are required to raise funds for the Safaricom Marathon’s projects in Kenya. Unfortunately, Tusk is not in a position to accept entries from runners who wish to fundraise for other charities. We ask each competitor to raise a minimum of UK£1,500 / US$2,025 over and above the cost of entering the event. Please note that this is a condition of your entry. Many runners set themselves a higher target, which we always encourage! The corporate team raising the highest amount will be presented with a magnificent rhino bronze trophy. Tusk is registered with www.virginmoneygiving.com in the UK (or www.crowdrise.com in the USA). Both online fundraising sites allow you to create a sponsorship form with easy access for your supporters, knowing their money is going directly to Tusk. UK tax-paying donors can enhance their contribution by agreeing to Gift Aid their sponsorship (for every £10 you raise, Tusk will receive another £2.50 from the Government provided you are a UK tax payer). Visit Safaricom Marathon 2019 website.